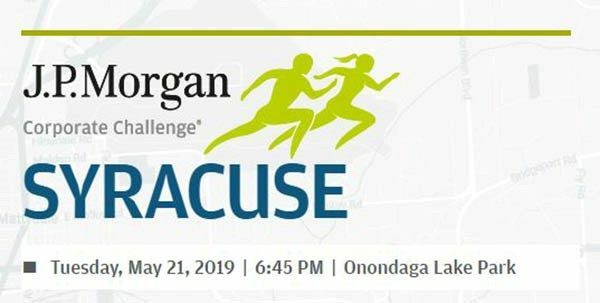 April 26 is the registration deadline to be part of the Syracuse University team in the 2019 J.P. Morgan Corporate Challenge. The 3.5-mile run/walk is Tuesday, May 21, at 6:45 p.m. at Onondaga Lake Park in Liverpool. All benefits-eligible faculty and staff who meet the J.P. Morgan event eligibility requirements are invited to join the SU Team. half of the $37 registration paid for by the University. The check must be delivered by noon on April 26. No late payments will be accepted. Visit the wellness site for complete details. For a course map and more information on the Syracuse Corporate Challenge, visit the rules and more. Questions? Contact Syracuse University Team Captain, John Beecher at jtbeeche@syr.edu.